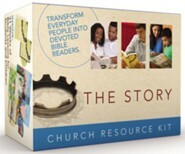 Introduce your 4- to 7-year-olds to the greatest story ever told! 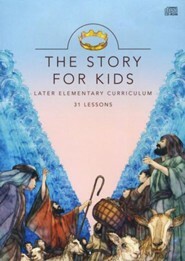 Featuring Fausto Bianchi's vibrant illustrations, this timeless collection brings 48 pivotal Bible stories to life for your kids. And you'll appreciate how it portrays each event as part of the big picture of God's Word---from creation to the promise of Jesus' return. 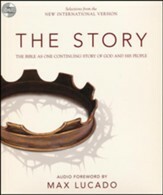 288 pages, hardcover from Zonderkidz. With sweeping brush strokes, God painted his creation across the emptiness. Let there be light, he called into the darkness, and a sweep of brightness blazed across the blank canvas. 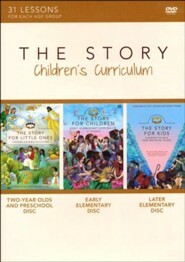 The Story for Children isnt just another collection of Bible storiesits The Storythe big picture of Gods enormous love for his children! 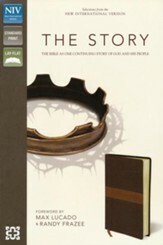 Presented by bestselling author and pastor Max Lucado with Randy Frazee and Karen Hill, these 48 pivotal stories show how God has a great and grand and glorious vision, beginning with Creation and ending with the promise that Jesus is coming again. 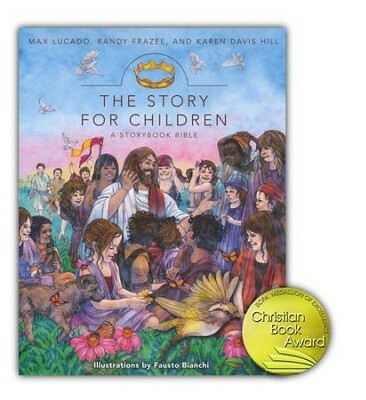 Each story is personalized with Gods Message and accompanied by vibrant illustrations from accomplished artist Fausto Bianchi that help bring the Bible to life for readers young and old. Randy Frazee is the senior minister at Oak Hills Church, one of the largest churches in America, leading alongside author and pastor Max Lucado. A leader and innovator in spiritual formation and biblical community, Randy is the architect of The Story church engagement campaign. 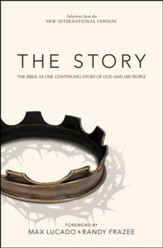 He is also the author of The Heart of the Story, The Connecting Church 2.0, and The Christian Life Profile Assessment. He and his wife, Rozanne, live in San Antonio, Texas. Fausto Bianchi was born on Lake Como and now lives and works in Varese, Italy. He lives with his wife, child, and a dog and cat. Fausto has done illustrations for several Italian publishing houses and advertising agencies. He especially enjoys working with watercolors and has begun to use digital formats to create the same watercolor effects. He uses this technique for the illustrations in St. Francis and the Nativity. 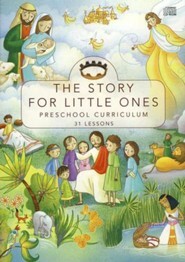 Q: Is there a Spanish version of The Story picture book bible for 2-5 year's old age group? The only Spanish version (CBD stock number WW752939) is for 4 to 8 year olds. Q: What is appropriate age range for this book? This is appropriate for 4 to 8 year olds. 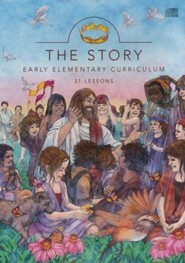 I'm the author/artist and I want to review The Story for Children: A Storybook Bible.